The Beverly Blossom Foundation needs interns to help research, document and digitize the long and fruitful career of Beverly Schmidt Blossom. An interest in dance history and/or arts archiving is required, and depending on qualifications, BBF may be able to offer course credit, a stipend or both. All work will be done onsite in Chicago. 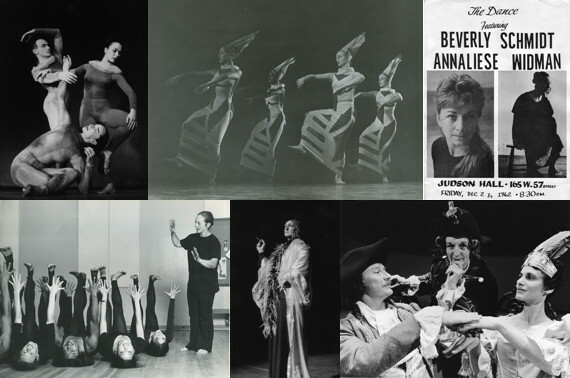 The dance career of Beverly Blossom spans several eras, from 1950 to 2010. She studied and worked with legendary figures such as Alwin Nikolais, Mary Wigman, Hanya Holm, Sybil Shearer, Murray Louis and more. She was involved with numerous productions and “happenings” in the downtown New York art scene of the 1950s and 1960s, along with people such as Andy Warhol, Yvonne Rainer and John Cage. She also taught generations of students at the Nikolais/Louis school in New York and the University of Illinois. Her students include Meredith Monk and Henning Rübsam. Beverly’s own late-career solo performances are well-remembered for their unique blend of wit and poignant intimacy, as described in her 2014 New York Times obituary.